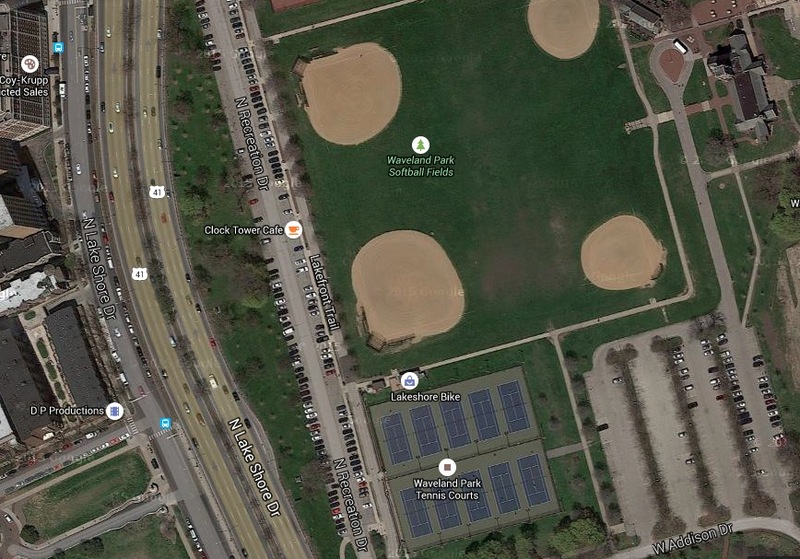 At least six people are in custody and one gun has been recovered after a wild melee broke out near the lakefront baseball fields and tennis courts in the 3700 block of Recreation Drive on Saturday. Police responded to the area, which is a popular hangout for gangbangers, around 9:10PM after multiple callers reported a man with a gun and people fighting on the lakefront rocks and the tennis courts. One caller reported that a Hispanic man put a gun to his face and took his wallet near the landmark clock tower. Others reported that the man was throwing bottles and shooting them. At least one car window was shattered. Officers recovered one firearm and rounded up several offenders, but up to 15 others—including one armed with a gun—escaped on foot and by vehicle. Police later arrested a man who matched the description of the second gunman at 3800 N. Lake Shore Drive. The second weapon was not immediately recovered. One man is facing weapons charges while four other men and one woman are expected to be charged with battery. On July 6 of last year, two people were shot in a late night gang-related incident near the Rec Drive tennis courts.